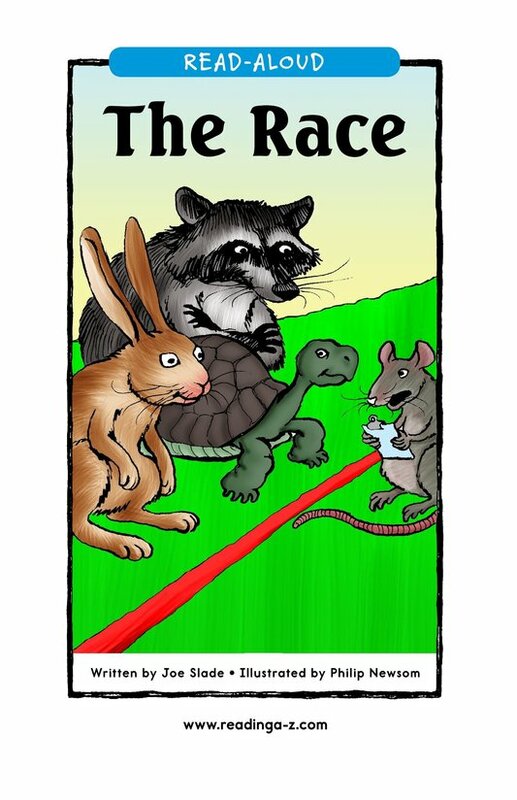 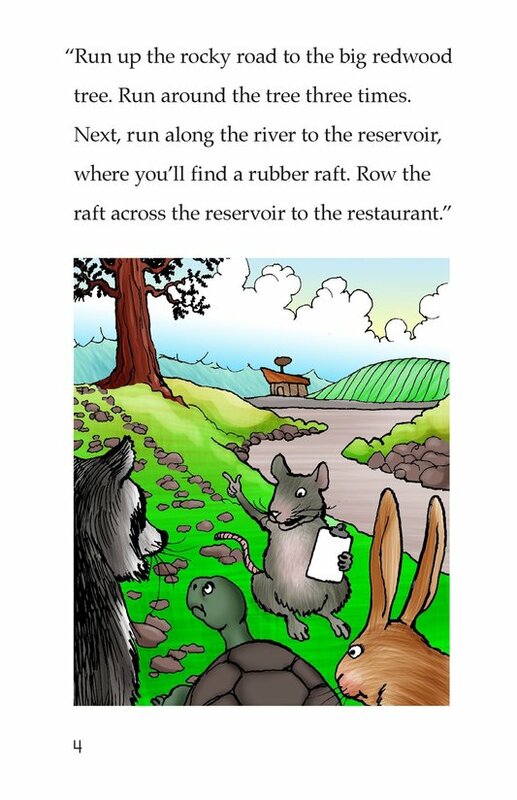 A rabbit, a raccoon, and a turtle have a race. 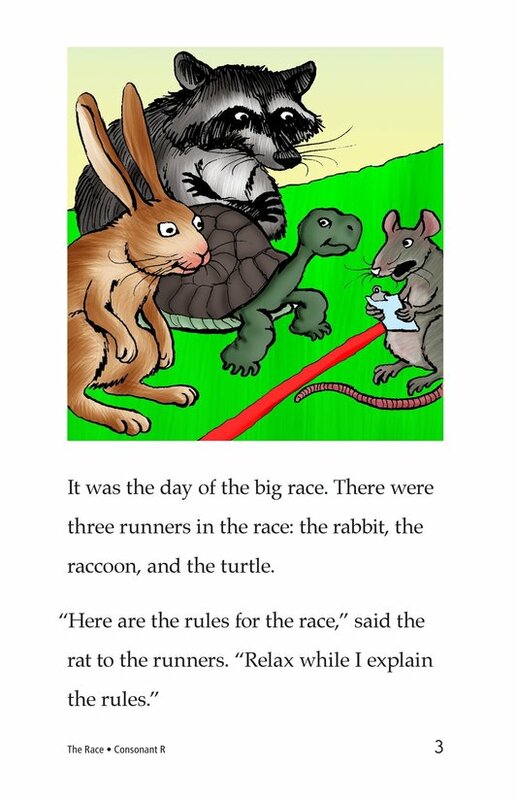 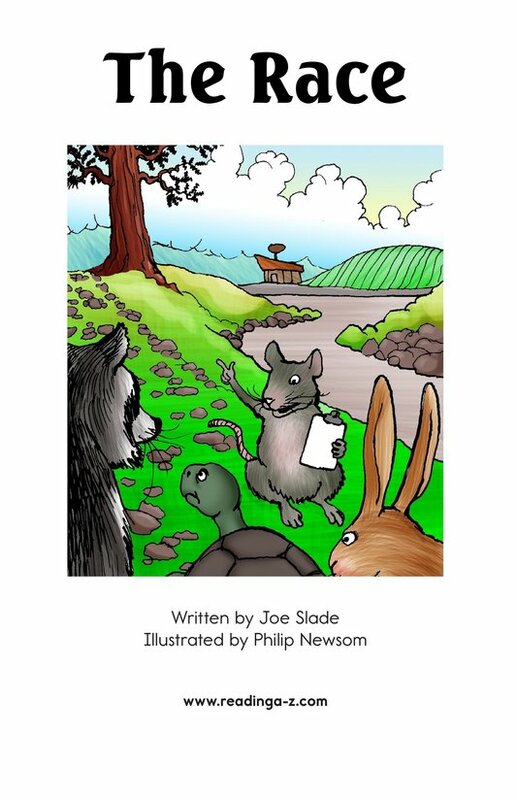 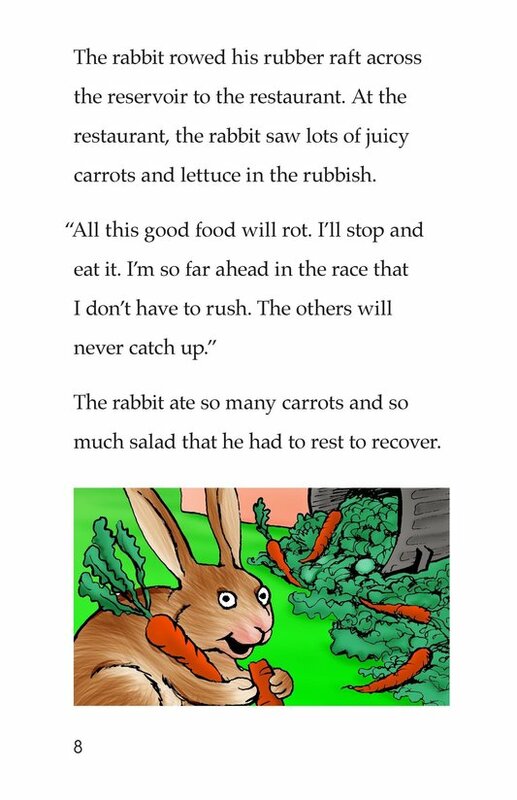 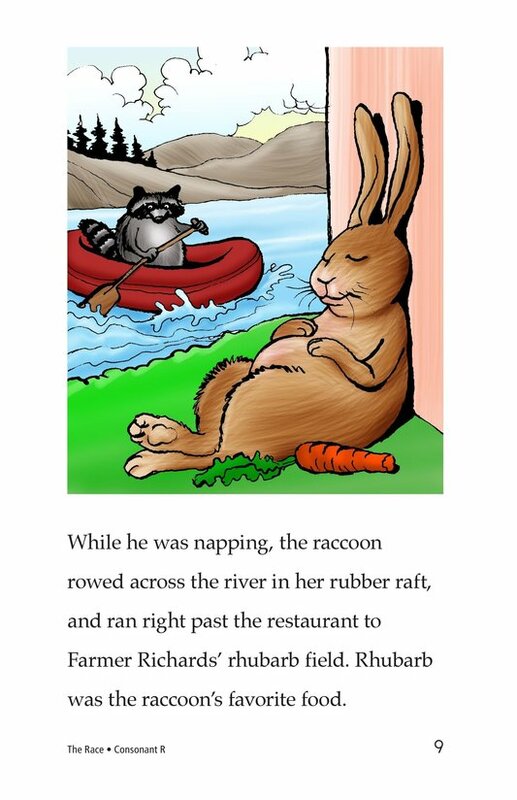 It seems in the beginning that there is no contest between the confident rabbit and raccoon, and the not-so-fast turtle. 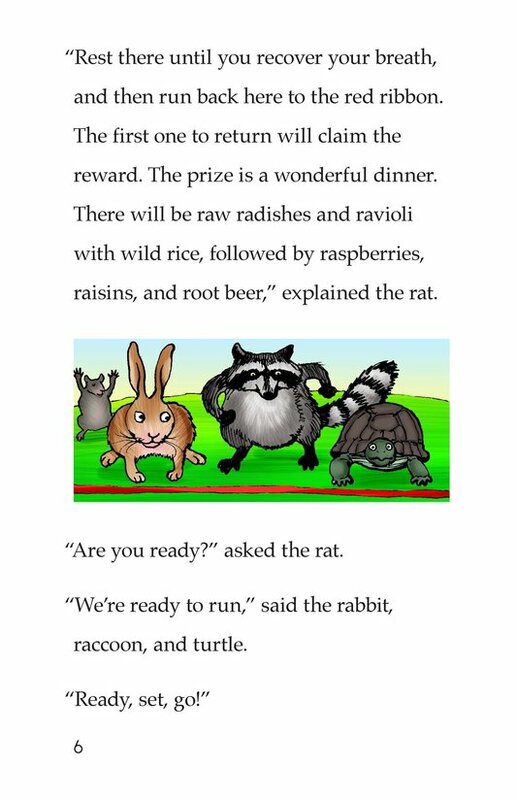 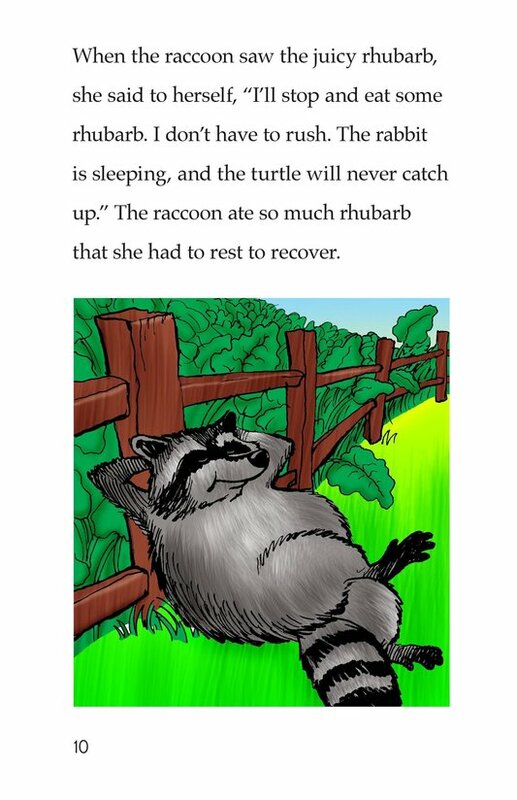 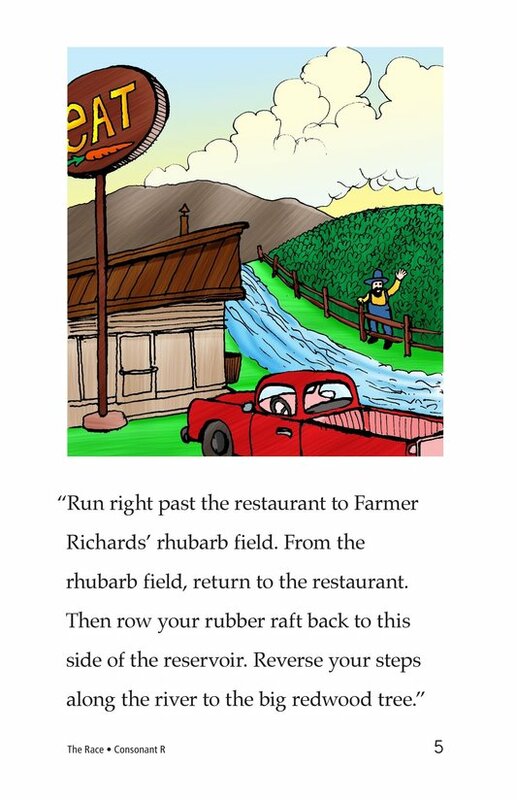 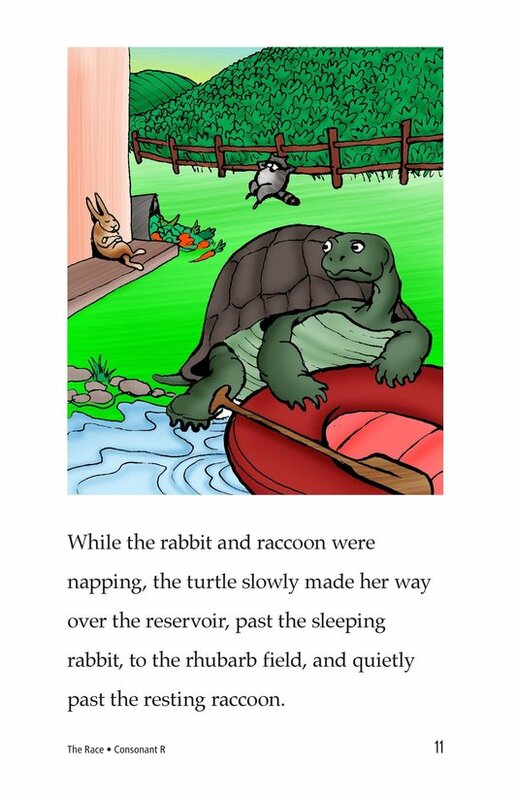 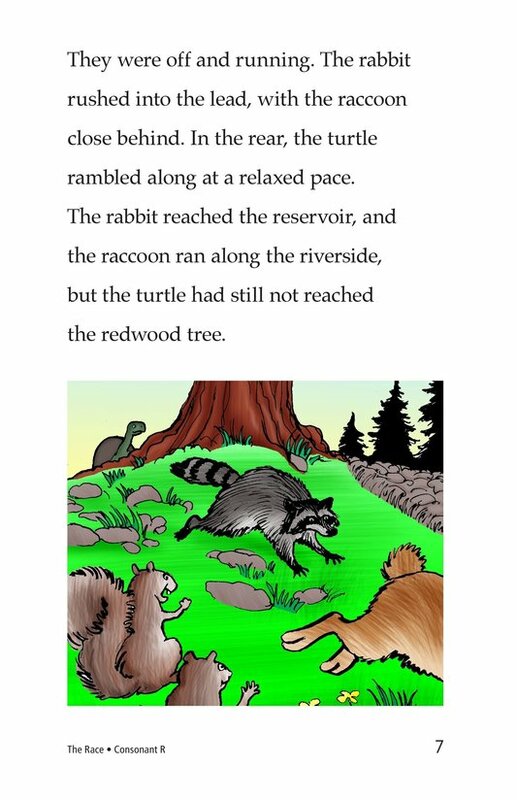 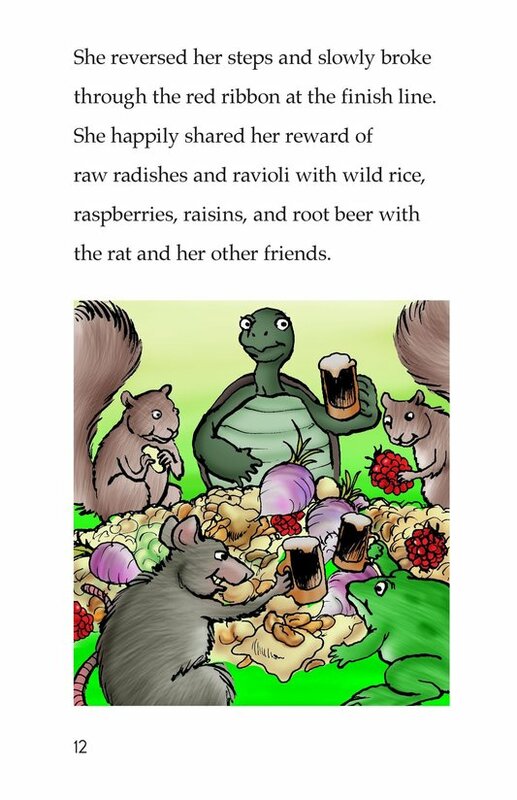 However, when the rabbit and the raccoon stop for a snack and a nap, the turtle wins the race. 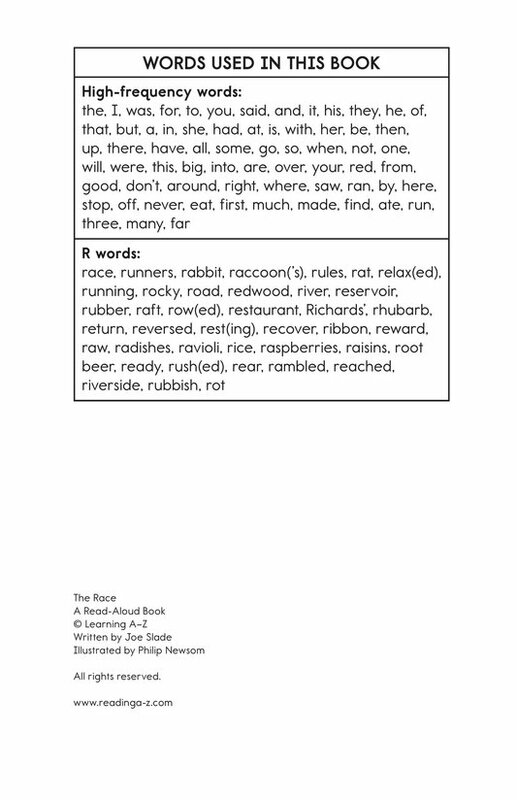 Introduce and expose students to the /r/ sound represented by the letter r.